Do you know that the most common cause of tooth loss among adults is gum disease? The good news is that gum disease is treatable at Five Star Dental Care in Valrico. If you are experiencing these symptoms, talk to us right away. Since plaque causes gum disease, removing it with regular brushing and flossing is the key to healthy gums. Most dental health professionals, including the team at Five Star Dental, recommend brushing and flossing twice a day. If you experience any of the symptoms of gum disease, don’t despair. At Five Star Dental in Valrico we treat gum disease, even in advanced cases. We also offer dental implants, and a wide range of other services. Schedule an appointment with us today. 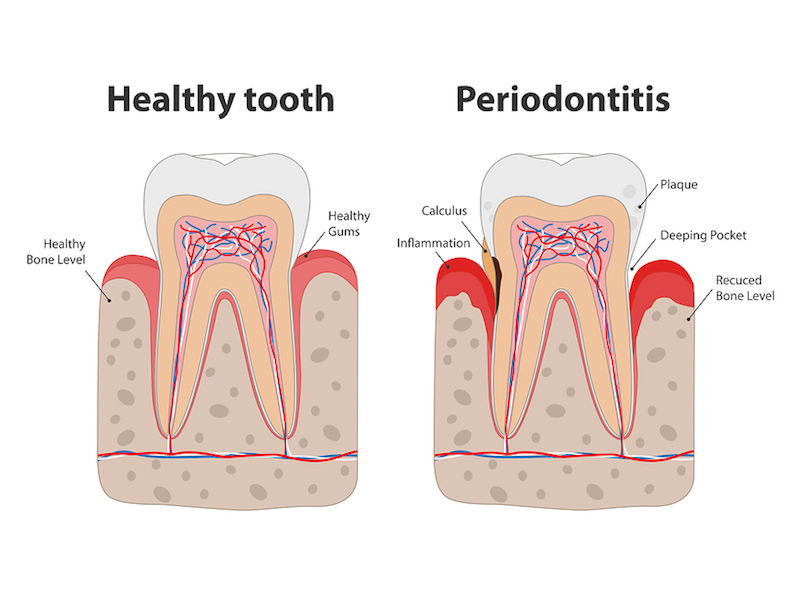 This entry was posted on Friday, March 1st, 2019 at 8:00 am	and is filed under Dental Health, Gum Disease, Gum disease treatment. You can follow any responses to this entry through the RSS 2.0 feed. Both comments and pings are currently closed.